How to create a professional social media strategy plan? Download this social media marketing (SMM) strategy plan template now! Why wasn't the previous plan working? How will you plan to engage the customer s clientele? Is there proof or reason behind this Project Timeline? Once your current or potential client reads the overview and goals, its time to deliver your timeline. Great marketing efforts can make a business! However, the opposite is also true. Take your business and marketing serious right from the start and in every detail! Therefore, we recommend you to check out this social media strategy plan. This marketing template will capture your audience's attention, no matter if it's your Management Team or your customers you will have to present it to. After downloading and filling in the blanks, you can easily customize e.g. visuals, typography, details, and appearance of your document. This enables you to finish it much faster. By using this marketing social media strategy plan template, you start with a strong basic template you can use to create the perfect one. Which is giving you more time to focus on what really matters! Using this marketing template guarantees that you will save time, cost and efforts and enables you to reach the next level of success in your project, work and business! 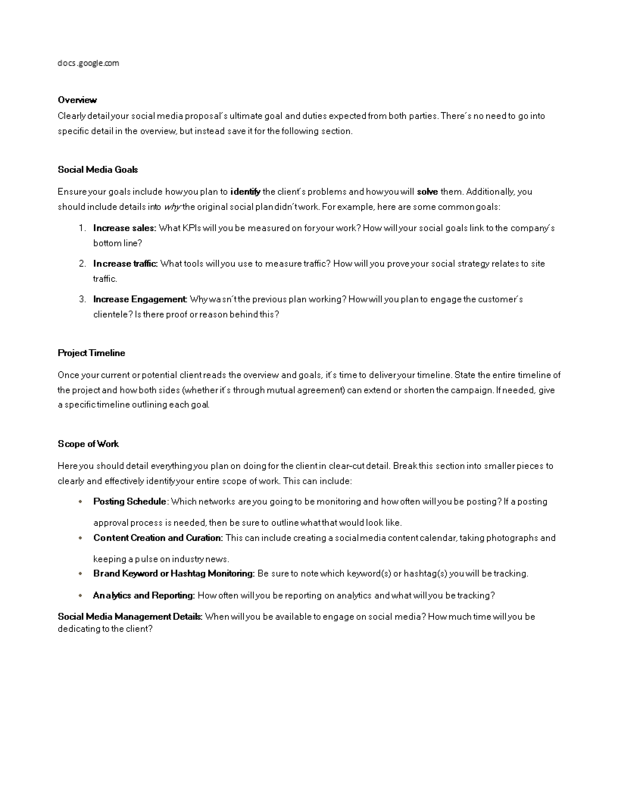 Download this professional social media strategy plan marketing template now!